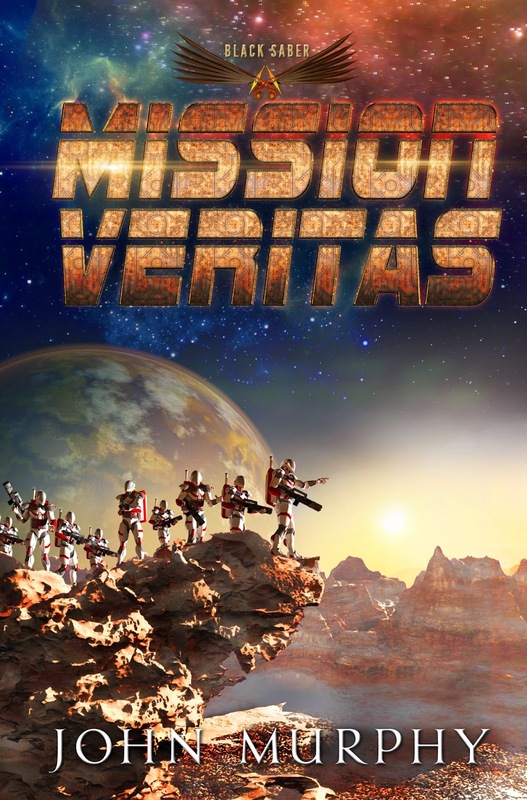 Today we are interviewing John Murphy about his SciFi novel "Mission Veritas." I retired from the computer software industry and have pursued a number of creative outlets. I’ve been writing off and on over the past twenty years, and decided to put in whatever necessary effort to get my novel "Mission Veritas" published. I have the good fortune of getting on board with an innovative new publisher, BookTrope, who produces both ebooks and printed books. "Mission Veritas" is about candidates for an elite fighting force who must qualify on a planet where the atmosphere makes you tell the truth. Vaughn Killian must hide his past as a ruthless rebel fighter against the Carthenogen led Global Alliance, who espouse world peace with a brutal hand. Certainly readers with a military background as they often love a good action adventure. While I wrote, I also thought of video gamers who like first person shooters. Most popular games have a story line that goes along with the action. I tried to put the reader into the main character’s head as he encounters conflict with the environment and his peers. 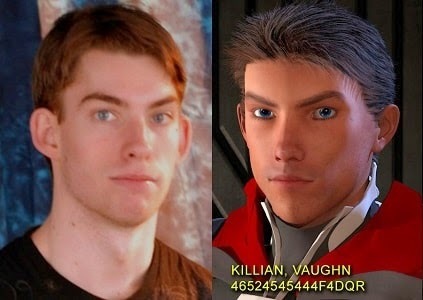 Tell us a bit about the protagonist, Vaughn Killian. Vaughn Killian begins the story as a teen who is immersed in video gaming, completely unaware of the worldwide turmoil around him. He’s the son of the US Ambassador to Thailand which is erupting, and and his parents are killed. He finds himself surviving among rebel fighters in a two-year purge of Bangkok where he learns his lethal fighting skills. Later, he’s returned to the US to join the military, and given an opportunity to join the elite fighting force, Black Saber. However, he cannot tell anyone about his recent past, that he was in Bangkok at all, or about how he was rescued. What inspired you to write a book about a young man who must survive a difficult mission to prove himself and fight for what he believes in? A few years back I was producing short videos for YouTube. My son, a late teen at the time, had acted in a few of my short videos. Some friends said their teens would love to appear in a movie, so I began brainstorming with my son to come up with a story that didn’t involve drugs, school, pregnancy, or present day social issues. The idea for candidates qualifying on a strange planet was hatched as my son and I worked out at the gym. I wrote it first as a screen play, but didn’t have the money to tackle such a huge project. So, I re-wrote it as a novel. In your book, the Carthenogens are cruel tyrants who rule Earth. Can you elaborate a bit more on who they are for readers? I took advantage of the widely held belief that we have been visited by aliens throughout history. They finally make their presence a known fact when Earth was on the brink of nuclear annihilation. They are swept into positions of power as they are seen as a superior, wiser race of beings, ‘saviors’ from another planet. They preach peace, but keep what they’re really up to a guarded secret and out of the news media. Robert Heinlein was the author who inspired me to take up writing. I’ve also enjoyed Brad Thor for his action and pacing. I wanted to create a good underdog story, otherworldly, with lots of action and tension. Do you think your background as a Marine and world traveler has influenced your writing style? As most young Marines join, they have visions of battle and heroism, and, of course, believe they’re invincible. I tried my best to capture these desires and the victory of overcoming obstacles. I also depict the kinds of experiences I’ve had with boot camp and interpersonal dramas thereafter. My travels inspired my choice for opening the story in Bangkok. Now that I’m writing full time, I plan to focus on the enjoyment of weaving good stories and putting characters in awful situations. I’d much rather spend my time doing this, as well as illustrating scenes, then playing golf. Certainly, the “not knowing” whether I’d get published at all creates an anxiety from uncertainty. I’m sure most writers experience this. It can really make you wonder about your own sanity. Now that hurdle has been crossed, I experience the self-induced pressure to continually improve my writing skills, while at the same time, keeping the stories exciting, suspenseful, and surprising. Yes, and no. Certainly, there are the times I turn on the computer and can’t think of where to start. However, I have always found that by reviewing what I had previously written, it gets my creative juices flowing again. Doing graphic illustrations really helps break things up, so that I rarely feel bogged down with no clues as to where to take the story. My wife has proven to be an incredible sounding board and muse for stimulating exciting ideas. I’m presently working on my second draft for the sequel. I had written it a few years ago, then tabled it while re-writing Mission Veritas, which turned out to be extremely helpful. I already knew where things were going, so I implanted many clues into Mission Veritas that readers ought to enjoy discovering as they continue reading the series. I’ve already got book three outlined, which helps me weave more clues into book two. 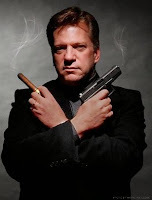 When I started cooking up "Mission Veritas," I was confident that I could use my videography skills make a movie, shooting it in front of green screen, then drop in graphics behind. I learned that it was considerably more complicated and expensive than I envisioned, but I had taught myself graphics. While writing Mission Veritas as a novel, I produced dozens of images that I put on my website as bonus content. Seldom do you have a novelist who is able to illustrate their own stories with the faces and settings straight from the author’s imagination. I’m hoping that the bonus content will add more depth to the reader’s experience of the story. Finally, Vaughn is modeled after my son, as he was willing to be the lead actor. When doing my graphics, I created an image of him in 3D modeling software that I use. Vaughn Killian is a real dude! (presently living in Germany). As Vaughn got dressed, he tried to assure himself that Captain Leon and his men would be able to keep the dark forces at bay. Still, he couldn’t help but envision the wolves of anarchy skulking among the ghoulish protesters. He lay back on his couch and put the Fantasia mesh over his head, the padded earphones reducing the chanting outside to haunting whispers. Still, his shoulders and neck were tense. He did his best to ignore them. The sensory mesh resembled a soft helmet. Inside the comfortably padded interior, electronic probes touched his scalp, creating a sense of motion during play. He lowered an opaque visor over his eyes, which featured a holographic screen inside. Vaughn entered a virtual meeting chamber, an enormous medieval hall complete with weapons hanging on the walls. He met the avatars of his friends, who waited impatiently. “Sorry I’m late,” Vaughn said. Excuses weren’t tolerated when it came to Fantasia—not even being in lockdown. “You know the rules, dude. Last one here carries the ammo,” Joey said. His avatar hopped off a chest resembling wood and iron. Vaughn sighed. Lugging the chest would not only deplete his health points, but also diminish his fighting skills. “Where’d we leave off?” Devon asked. A monstrous explosion jolted Vaughn again, followed by an overwhelming rumble. There was no way that was part of the game. He bolted upright. The floor shook and the glass décor rattled. He ripped off his helmet. The rumbling continued. It was like thunder, but ten times worse. He could feel it in the couch and floor, like a herd of cattle racing through his room. The windows and furniture shook. The room went dark, as if a blanket had been draped over the embassy. Something started pelting the windows—a rain of pebbles and rocks. Vaughn hit the floor between the couch and the coffee table, praying the bulletproof glass would withstand whatever was hitting it. A white strobe light came on above the door to the family’s private residence. Its rhythmic flash was punctuated by a piercing wail. The door to the residence burst open. “Here!” Vaughn called, rising to a cautious crouch. Vaughn scooted past him into the hall toward the rear of the house and down the service stairs. His feet stepped madly, but they felt detached from his body. Everything moved in slow motion. Vaughn and Captain Leon cut through the kitchen to the panic room. It was large enough to hold at least forty people. Emergency strobe lights flickered throughout the kitchen, but the panic room had a steady light powered by backup batteries. He hugged her tentatively in return. He barely knew her name, let alone her role at the embassy. Considering the circumstances, though, he was grateful for her motherly exuberance. “Yeah, I’m good,” Vaughn responded automatically. He could feel his arms and knees trembling from adrenaline. Vaughn turned, but Captain Leon was gone. A wave of vulnerability swept over him. He looked around the panic room and counted five faces he’d seen around the embassy: four Thai house and kitchen staff, and Annette. The panic room door stayed open a foot or so. The emergency strobe lights and siren continued their alerts. A marine squeezed into the panic room, clutching a rifle and limping badly. Blood trickled down the side of his head and neck. He must have been on duty outside. Corporal Tyler pushed the heavy door closed and spun a wheel to lock it, shutting out the siren. Although Vaughn yearned for some words of assurance from the captain, he felt safer for the moment. Corporal Tyler went to the security console and fired up its eight screens. Four monitors displayed camera views inside the embassy; the other four displayed scenes outside. Corporal Tyler flicked between various views from the numerous cameras positioned around the facility. Dust and debris had rained down on the building and were everywhere in the cameras’ view, coating everything with dark gray ash. Thousands of people ran in every direction in a frenzied attempt to escape the bedlam. Vaughn couldn’t help but think of cockroaches. Black smoke puffed intermittently across some of the screens. Dozens of dark figures raced inside the compound, toward the main entrance. “Sir! We have a breach!” the corporal said into his mic. “Roger that!” Captain Leon replied. Rapid bursts of muffled gunfire came over the security systems from the watch positions on the roof. On the screens, some of the shadowy figures collapsed to the ground. Marines shouted directives to one another as they fired, swearing rapidly amid the swarming invaders. Corporal Tyler turned the volume down to low. The conflict reminded Vaughn of every World Net combat game he’d ever played. But there was no laughter, no smack-talk, no health points. This death was real and the voices were terrified. Annette whimpered into clasped hands, as did the four female house staff. With each intruder that went down, the knot that had twisted throughout Vaughn’s body loosened into nausea. Wide-eyed and trembling, he worried he had put everyone in the embassy at risk. After all, he was the leverage point. An interior camera in the foyer showed Captain Leon wearing a helmet and flak jacket and bearing a rifle. He held on to the front door’s handle, as if to further secure the heavy locking mechanism. Corporal Tyler put on headphones to listen closely to the marines’ chatter. “I think they got the conference building!” a marine said. “Say again!” Corporal Tyler shouted into his mic. Terror gripped Vaughn. Were his parents in that building? His knees and stomach quivered. He sat on the floor and held his head. Annette put a hand on his shoulder. Officer Assecula came into camera view and tried to push the captain out of the way. Their shouts were barely discernible over the gunfire outside. “She’s trying to let them in!” Corporal Tyler said. “No!” Vaughn said, his eyes wide as he scrambled up and approached the screen. “Why is she doing that?” Vaughn asked. Captain Leon shoved her back, and Assecula disappeared from view. He returned to holding the door handle while dark figures banged on the glass. Assecula raced back into view and crashed a vase over Leon’s head and shoulders. He tumbled to the floor. Assecula lunged for the door and pushed it open. Captain Leon regained his footing, then leveled his rifle on the figures jostling to pull open the door. Shots exploded over the speakers. Blood splattered from Assecula’s body, which slumped halfway out the door. Intruders stepped over her, forcing their way in. Captain Leon fired again and again. Bodies piled up in the doorway. Captain Leon pulled the bodies in so he could close the door. A Molotov cocktail exploded against the door, erupting in flames. Captain Leon staggered backward, engulfed in fire. He dropped his rifle, fell to the floor, and rolled back and forth in a desperate effort to smother the flames. But they were too powerful, and eventually he lay still. Annette and the staffers screamed. Vaughn was on the verge of vomiting; saliva ran from his mouth. He turned away, staring at nothing but seeing the horrific image replaying in his mind. Dark masked figures leapt across the bodies in the doorway. One snatched up Captain Leon’s rifle and turned it on him. Vaughn and the women clambered to the rear of the narrow thirty-foot-long room. Corporal Tyler turned back to the monitors, rifle at the ready. More intruders piled into the house carrying Molotov cocktails. They threw them against the walls. Flames erupted everywhere. Vaughn paid particular attention to the monitor that showed his living room. A large figure entered and proceeded to flip over furniture, yank curtains off the windows, and pile them in the center of the room. Then he ducked in and out of the bedrooms. Vaughn swallowed hard. The intruder was looking for him. The figure whopped a bottle over the coffee table. The bottle shattered, spilling its fuel. He lit it and fire sprang to life, consuming Vaughn’s nest of ignorant bliss. In a final statement of triumph, the intruder tossed Vaughn’s Coke pajamas onto the flaming heap.